Pinch & punch for the first day of the month! I can't believe it's the last month of 2013 already! Where'd all the time go? 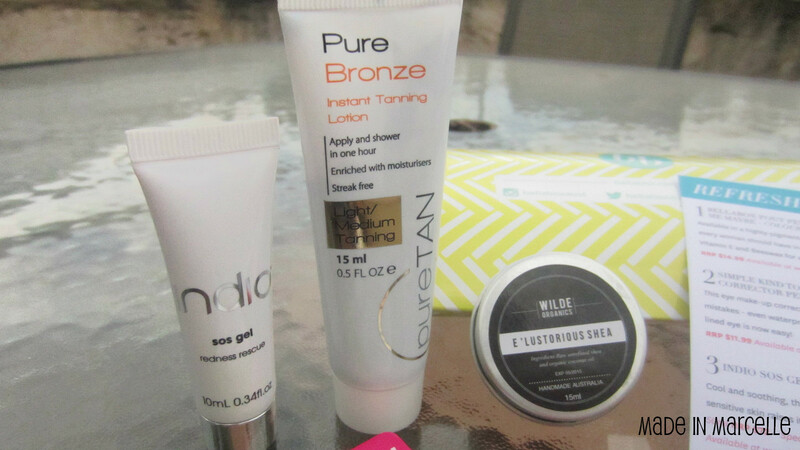 I'm on a saving spree again after all the online shopping I did during SWOTVAC (haul post coming very soon!) 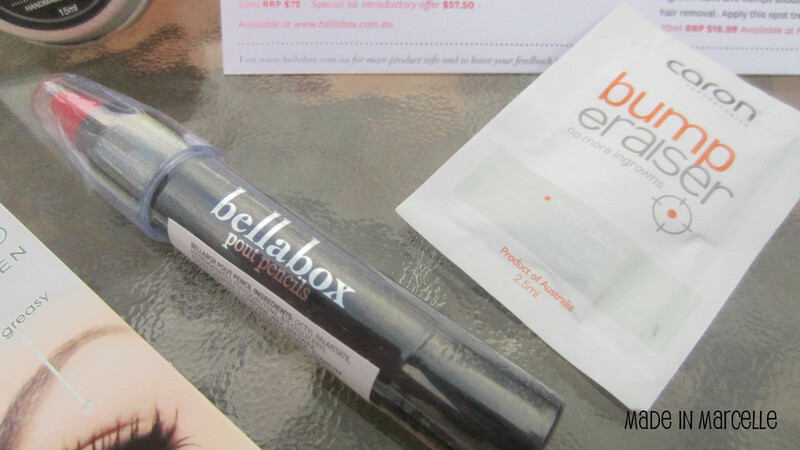 and was glad when November Bellabox finally arrived. Shipping was late than usual, and about 5 days before my box arrived, Bellabox sent out an apology email saying that they were sorry for the delay in shipping and that there was an exciting new Bellabox product this month. 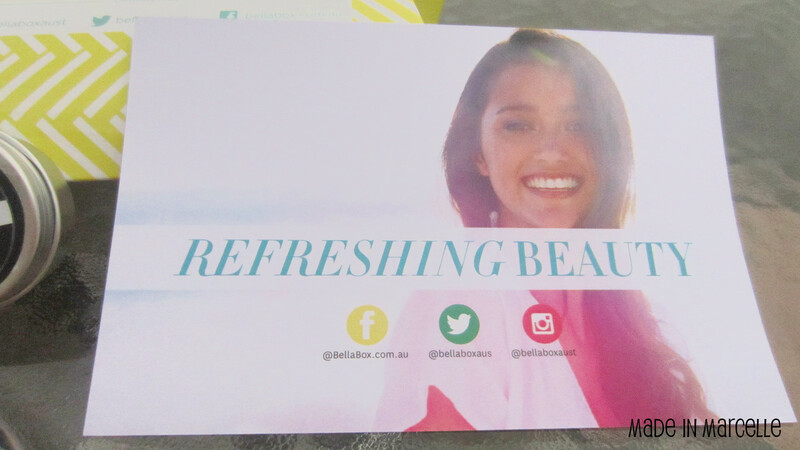 November Bellabox's theme is "Refreshing Beauty" with 6 items including the bonus item. Not too sure what this is used for. I'm guessing it's like aloe vera where it's used to cool down skin after long periods in the sun? I'm excited for this one since summer is here and I want a nice tan without exposure to UV rays. This one looks like a lip balm so I made a mistake of pressing too hard at the surface thinking it was made out of waxy formula. Boy was I wrong. It's actually a very creamy formula which is in fact, made to be applied as a body cream. 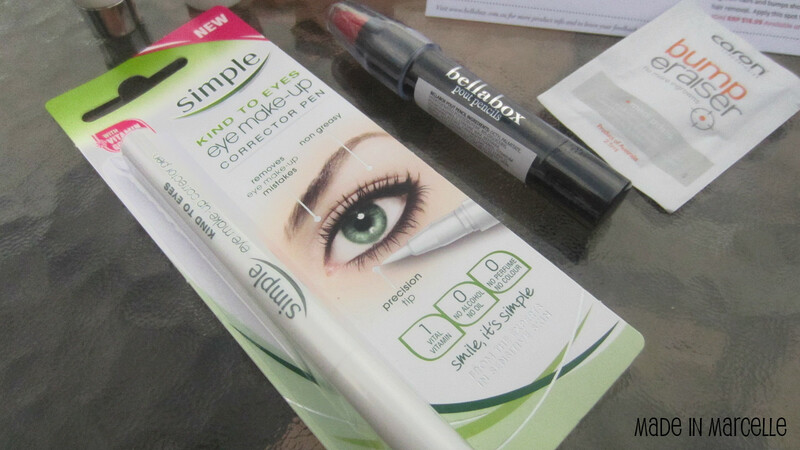 I have been wanting to try a corrector pen and this will be perfect to carry around in my purse for touch-ups. This is the new exciting Bellabox product that they were talking about! And it sure is exciting! You can never get enough lippies ;) The only disappointment with my first impression is that the tip of the lip pencil was touching the lid when it arrived. It comes in four different shades - Nuuude, Ruby Tuesday, Coral Me Maybe, and Pinky Promise. 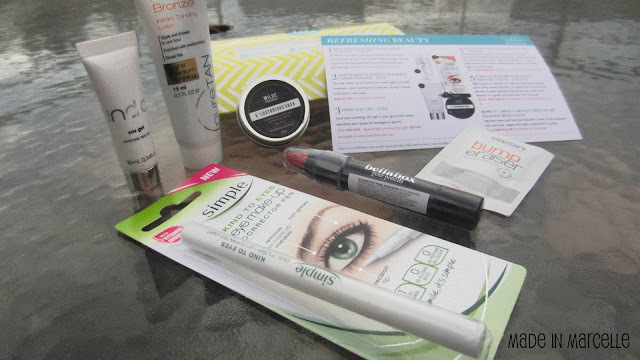 Not too excited with this product since it's not an essential item, but I'll see how I go! Except for the Wilde body cream & Caron Laboratories bump paste, I am happy with what I received but Bellabox could definitely have done better in terms of value. 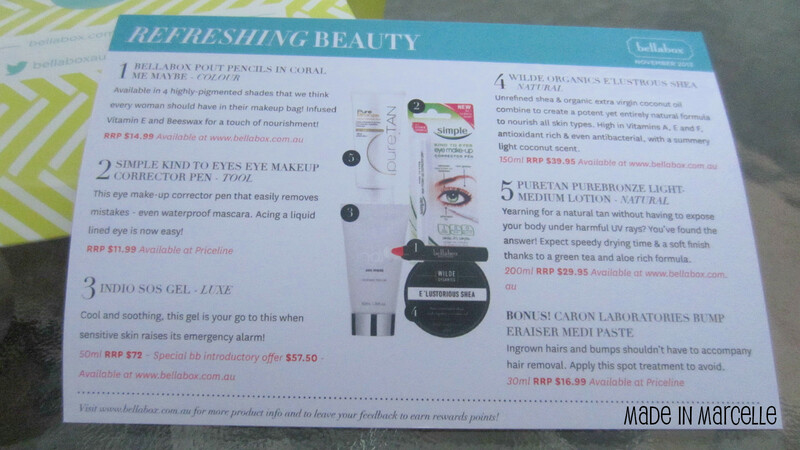 The only full sized product in this month's box was the Simple corrector pen and the rest being samples. I'm not too concerned though, because December boxes usually turn out to be my favourite one with the greatest value so I am expecting something amazing next time.